I’ve done my happy dance in the supermarket twice now. Once when I saw chestnuts appear in the fruit & veg section. And once when I spotted eggnog on the shelves. I came to retract the latter happy dance though. The eggnog I bought from the shop, while organic and from pastured cows and all that, contained an almost obscene amount of sugar. Seriously, it was like crack. There had to be a better way so I headed to my own fridge to find out. 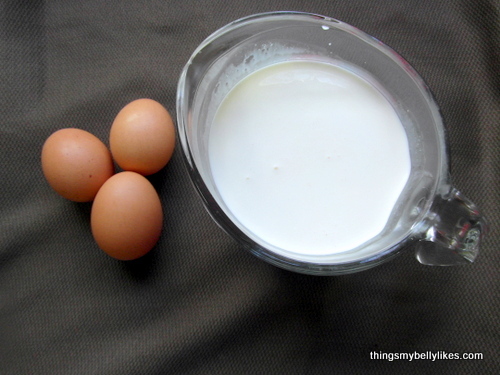 While there, I couldn’t resist a bit of experimenting and so you get this peppermint eggnog. Devoured in seconds and guaranteed not to rot your teeth or your organs. errrm – what alcohol would you add to it?! 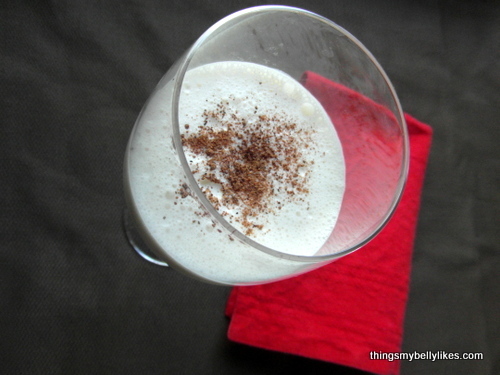 I usually take my eggnog virgin, but it would go well with a dark rum or whiskey. 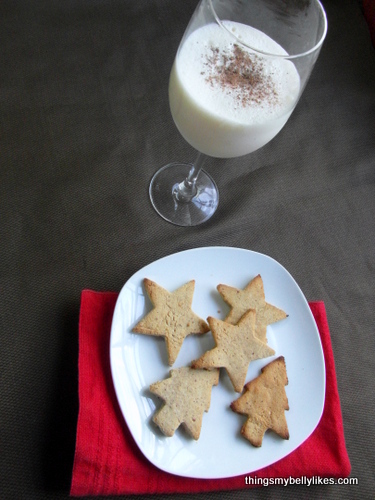 I’ve never had eggnog but you might have just made me brave enough to try it! Oh man I love eggnog! !